Turn your living room into a HOPFit DANCE PARTY! 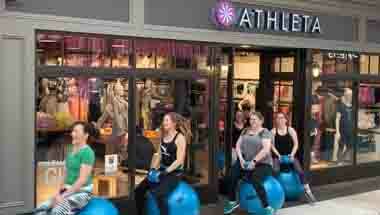 The only exercise that blasts calories while you sit, bounce & have fun! Burn up to 900 cal/hr* - plus HOPFit engages your quads, inner thighs, glutes, calves, back & abs! For all over body toning! HOPFit is designed to burn calories even while just bouncing, watching TV. A perfect solution to those with knee/joint issues. Ongoing streaming workouts keep you motivated! Turn your living room into a HOPFit dance party! We have yet to see someone HOPFit without smiling :) Bring back moments of joy from your childhood with this fun fitness product! 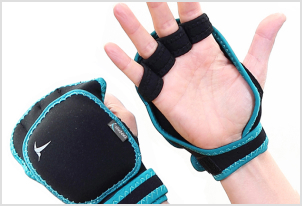 Use the bonus weighted gloves while bouncing to tone your arms, shoulders, chest & more! 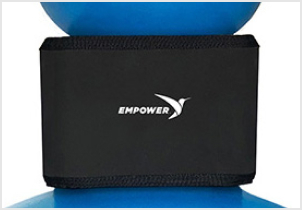 Designed to provide proper alignment of your knees, extra grip on your HOPFit and cushioned, comfortable use. To inflate your HOPFit in less than 5 minutes. Add even more resistance to your workouts and burn additional calories with the BONUS 2lb pair of weighted gloves. Get the most out of your HOPFit with our included workouts. 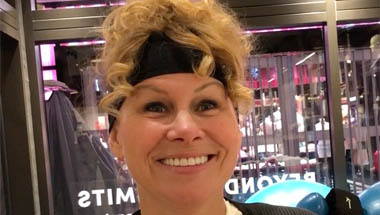 I’m Donna Savage, 25 years ago I set out on a journey to make exercise approachable by all women, no matter your age or fitness level. 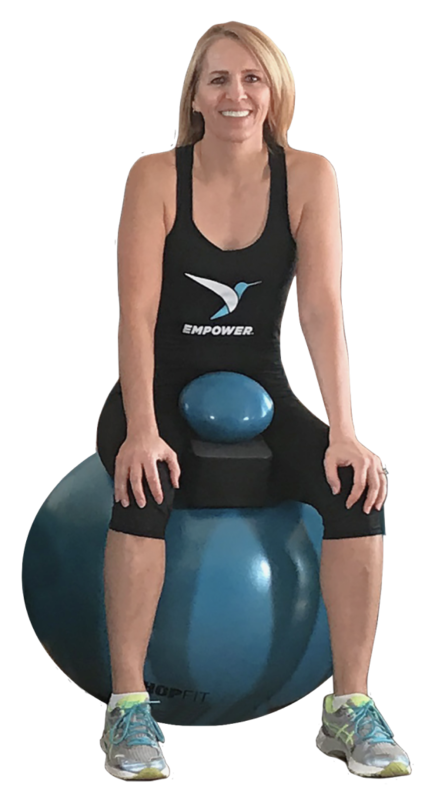 Empower was founded with the intent to create effective, non-intimidating fitness products that every woman can use to fit exercise into her demanding life. It’s never too late to become the best version of you! I’m Sabrina Tavalone, an innovative & passionate fitness trainer with over 20 years experience in the health & fitness industry. I’ve put my expertise to use creating an innovative, effective, and FUN set of HOPFit workouts! Not only does the HOPFit blast calories, it also engages the quads, inner thighs, glutes, calves, back and abs! Add in the weighted gloves and you’ve got yourself a TOTAL BODY CARDIO AND STRENGTH SYSTEM! Known internationally as “THE Exercise Doctor”, Dr. Olson has directed numerous research studies resulting in over 90 publications in peer-reviewed professional journals. *Based off scientific data testing performed by Dr. Michelle Olson at the Human Performance Lab, Auburn University. 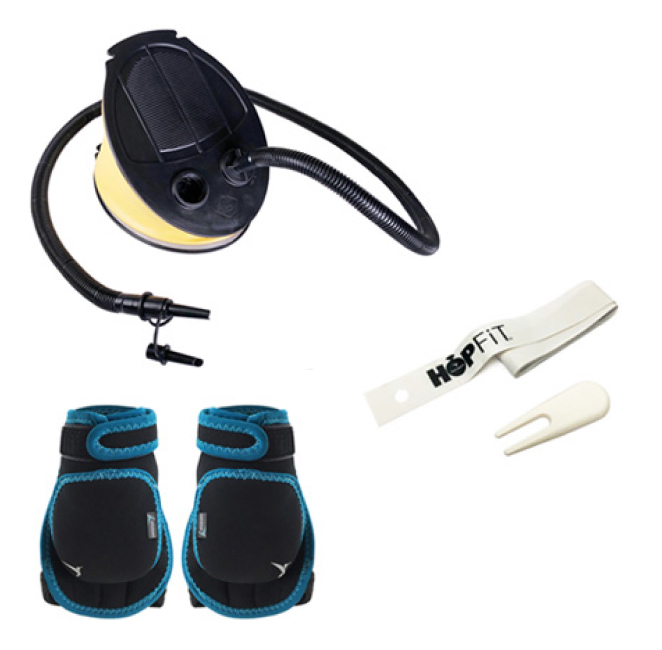 HOPFit has gone through rigorous testing to ensure your safety! Built with strong, durable materials to prevent bursting- even under extreme pressure! HOPFit is not recommended for persons over 300lbs. Unique, patented design offers a low impact, customizable intensity workout for all fitness levels. 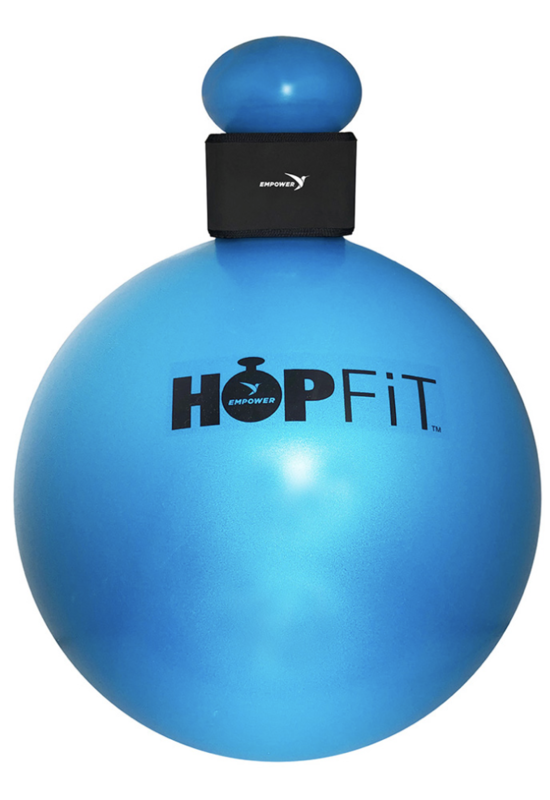 Inflate your HOPFit with ease! 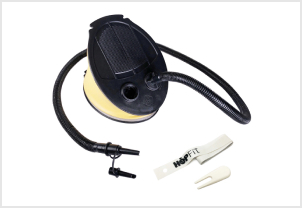 Easily remove the pin to inflate or deflate your HOPFit. FUN, CALORIE BLASTING workouts, plus a printed workout guide to help you maximize your HOPFit on and offline! Where will I store this? Say hello to your new desk chair or favorite TV watching seat. The HOPFit also easily deflates and inflates for storage or travel. I’m pregnant. Can I use the HOPFit? We recommend you only use the HOPFit during pregnancy as a more comfortable chair solution. Sitting on the ball, with your legs wide, back straight, can offer a more comfortable seated position than a hard chair or slouching on the couch. Always consult your physician prior to use. I’m too old for this thing. Isn’t this just for kids? Absolutely NOT! The HOPFit workout can be modified for all fitness levels. I have no balance and am afraid I’ll fall. Sabrina walks you through very specific safety instructions to help you gain balance. 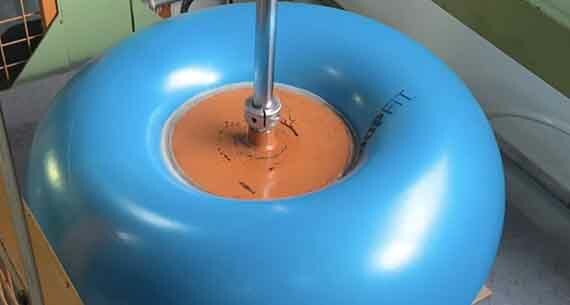 You can start by holding onto a sturdy table while slowly bouncing as you gain comfort and confidence. The more time spent on the ball, the more balance you will gain in your day to day life. Since when is having fun goofy?? And even if it is, it’s FUN! Embrace the fun and effective workout of the HOPFit. Or better yet, invite your best friend over be goofy and fit together! Is it a real workout? Yes. HOPFit can burn up to 900 cal/hr. AND engages the quads, inner thighs, glutes, calves, back and abs. Add in the weighted gloves, and you’ve got yourself a total body cardio and strength system! Trust us, 5 minutes on a hopfit and you’ll know it’s a workout.